A fine arts trade journal for all artists of varying skill levels, from aspiring artists to professional artists. The focus of the magazine is to highlight creative and unique artists, that are interested to make their art into their business. 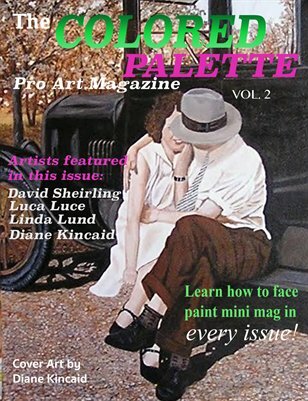 Each issue has a Learn How To Face Paint mini mag inside! The Mini mag will teach and showcase all levels of face and body artists, with a focus on beginner level instructional designs. Artists do not have to submit a how to design but can also submit any inspiring face and body art, or tips and techniques for artists.